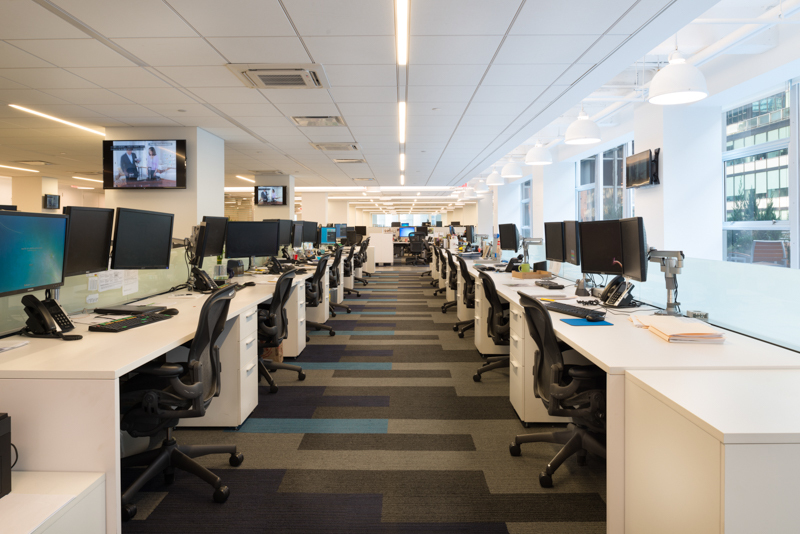 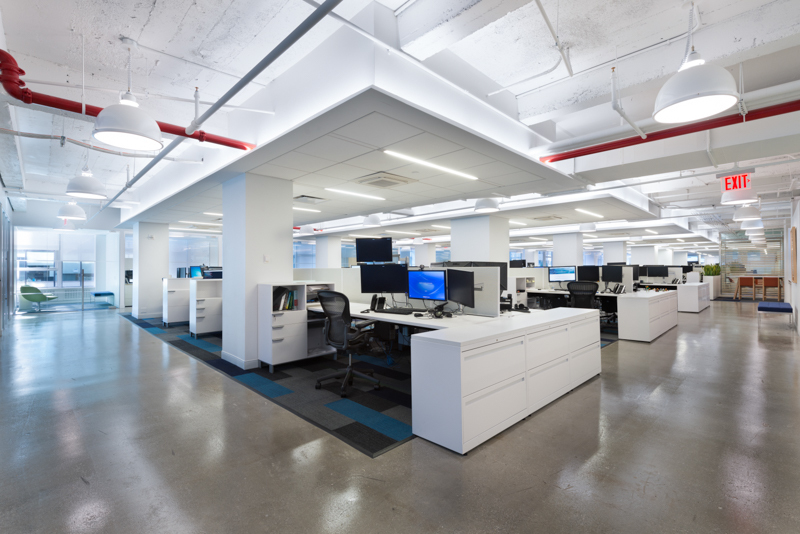 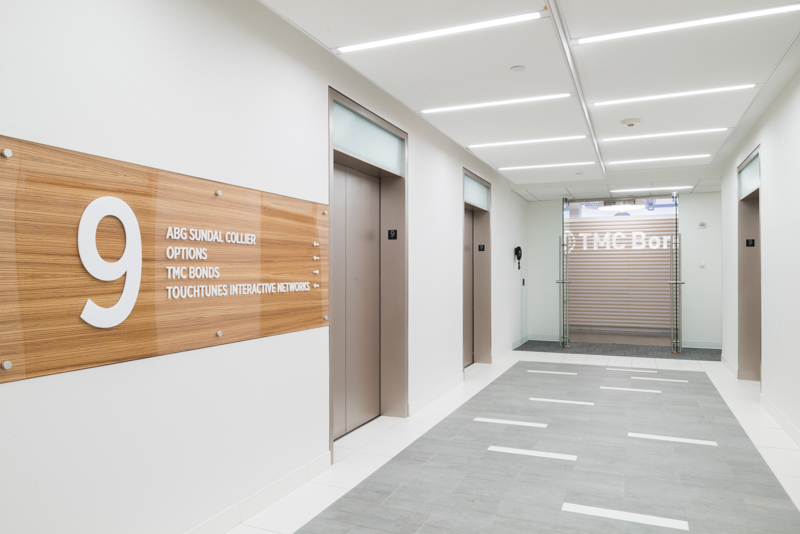 Gallin’s construction for TMC Bond included floating and open slab ceilings above, and polished concrete floors and carpet below. 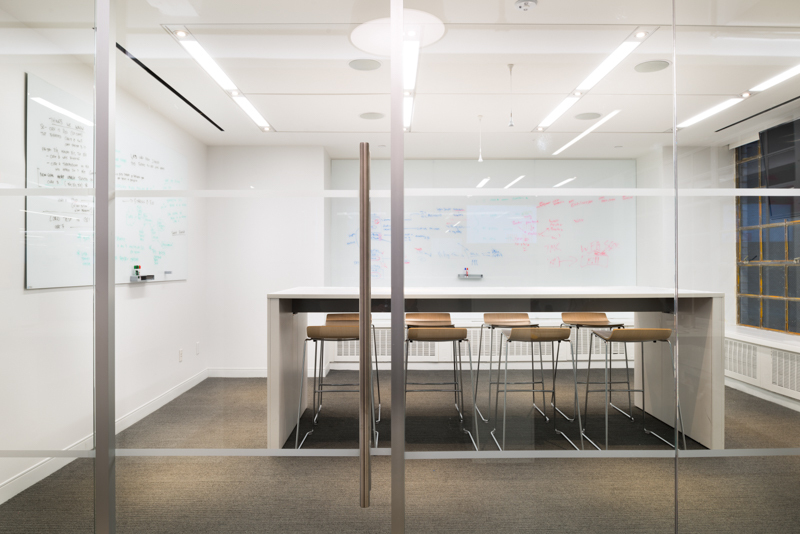 Numerous conference rooms and offices with glass front systems were installed around the perimeter of the space. 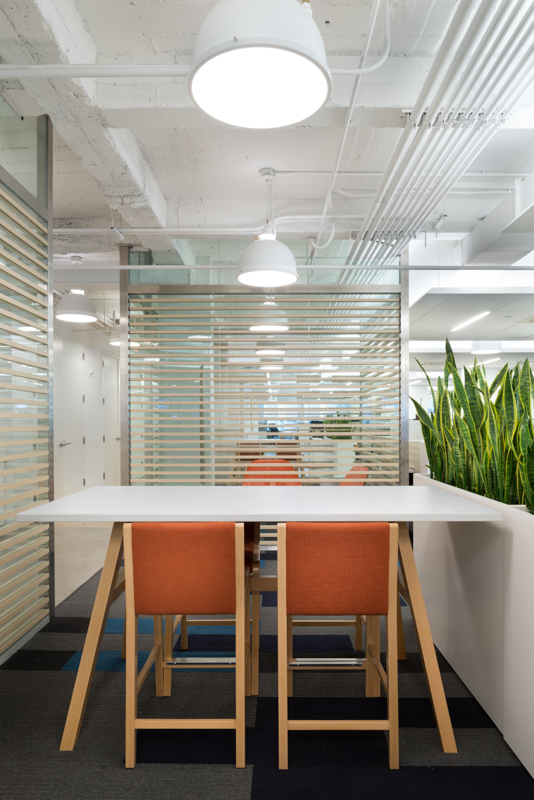 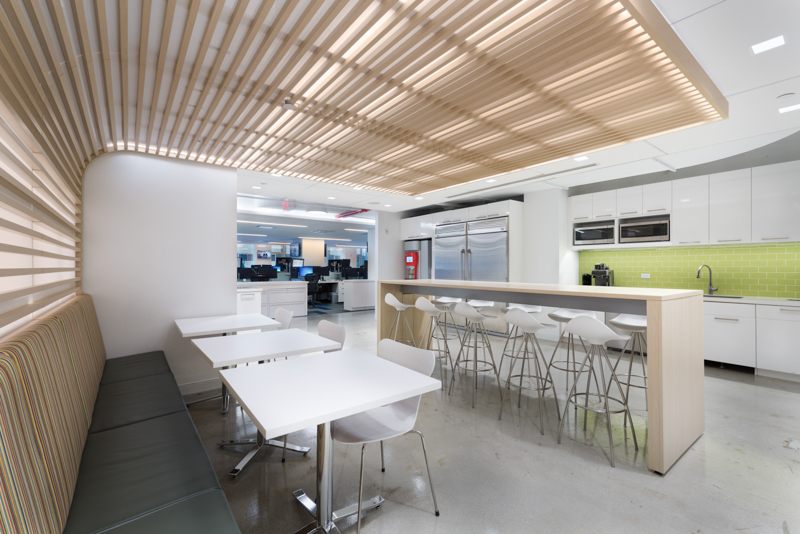 A highlight of the office is a pantry area with booth seating and a cantilevered wood slat ceiling. 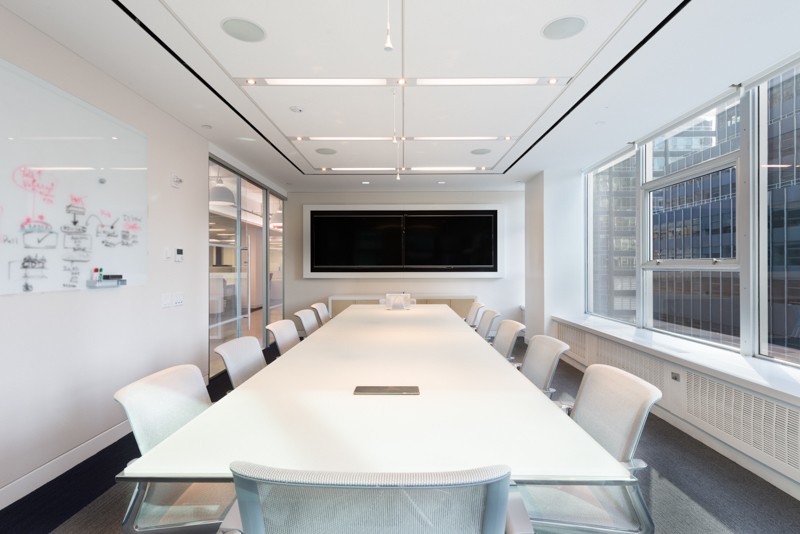 But the real standout is the finished deck built by Gallin, a spectacular space that can be used for work, entertaining, relaxing, or simply taking in the great views of the neighborhood.